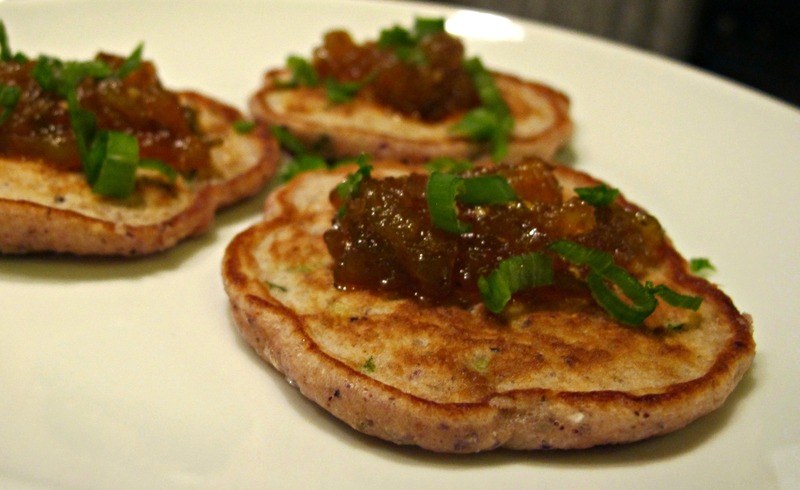 I noticed that I had not shared the mini-blue cornmeal pancake recipe that paired so deliciously with the Green Chile Chutney I posted a few months ago. For that, I am sorry. They are good! 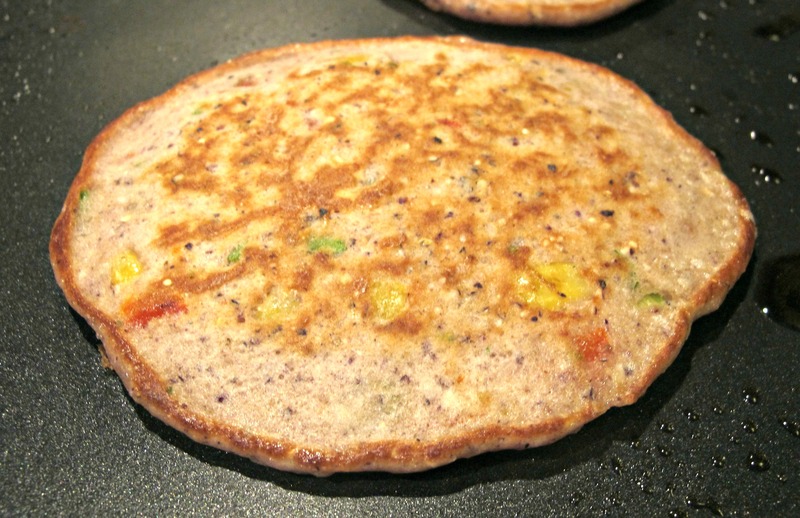 I’ve also made slightly larger versions of these pancakes as a base for a breakfast dish. I’ll have to post that here soon. It is a pretty good breakfast, if I do say so myself! 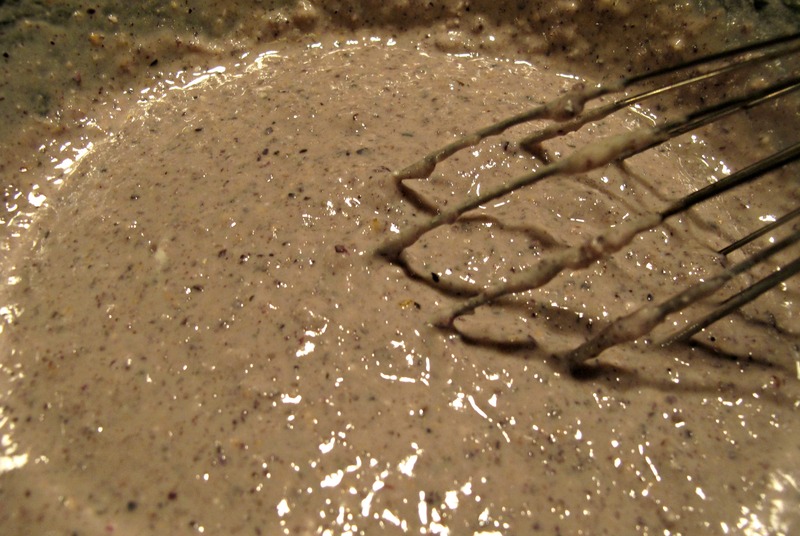 In a large bowl, combine the eggs and buttermilk and whisk until well combined. In a separate bowl, sift the dry ingredients together. Slowly add the dry ingredients to the egg/buttermilk mixture and whisk well until no lumps appear. 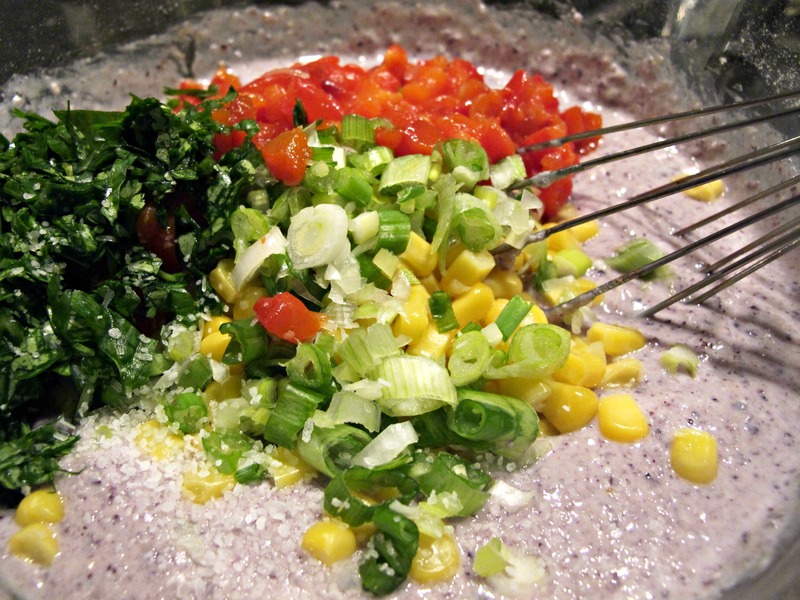 Mix in the corn, red pepper, green onion, garlic and cilantro until they are well distributed in the batter. Add salt and pepper, to taste. 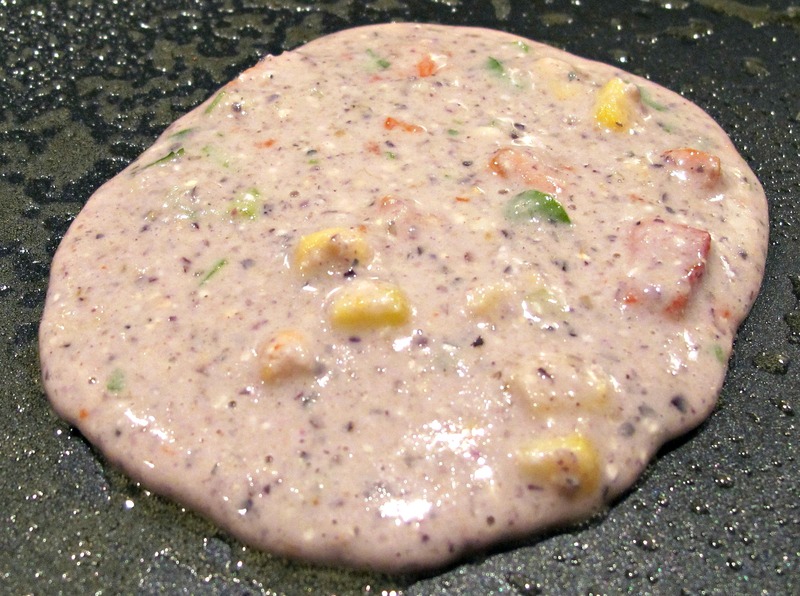 Preheat a non-stick skillet or cast-iron skillet over medium-high heat. 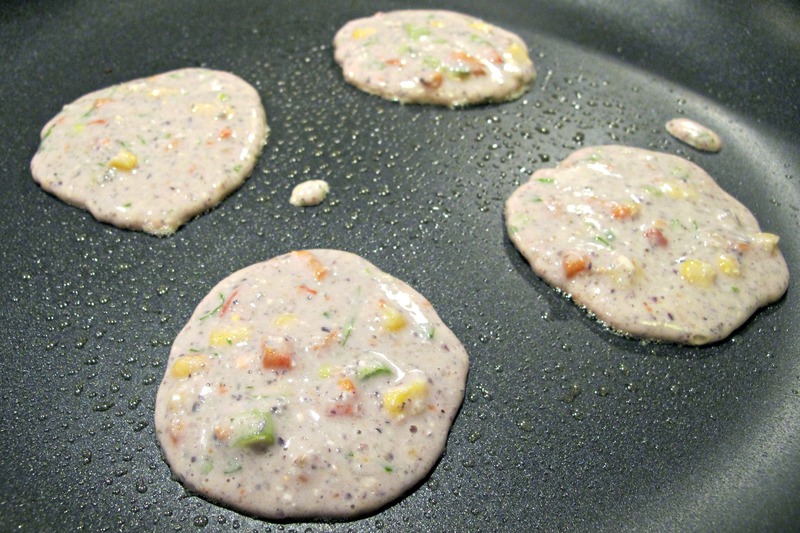 Add some butter, oil or oil spray to the skillet and spread evenly. Spoon or ladle 1 – 2 ounces of the batter on the skillet and cook for about 1 ½ minutes on each side or until they are nicely browned. You can vary the size and adjust the cooking time based on what you need. Keep the pancakes warm until they are ready to be served.